A great option for dispensing spring water from your bench top. 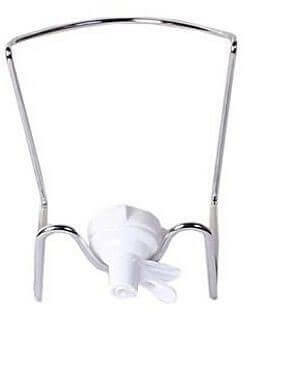 This chrome cradle holds the bottle on a 45 degree angle and comes with an easy to use white tap (Plastic and BPA Free). Perfect if you have limited space. The cradle is made of silver plated steel and features removable plastic grips for stability and scratch protection. The strong and stable cradle supports 12 and 15 Litre spring water bottles securely. The easy to install white tap has a super fast flow rate and is BPA Free and dishwasher safe. 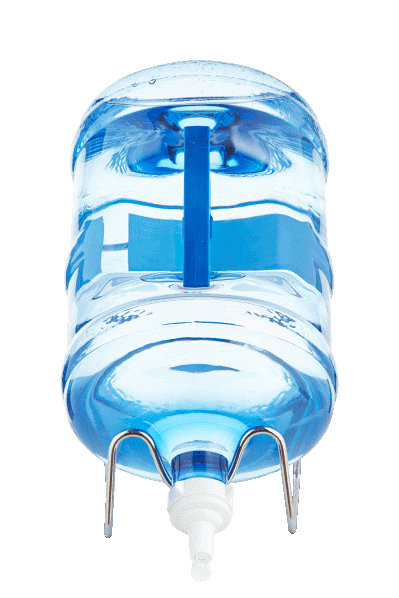 *The cradle white tap only fits 55MM crown top non threaded water bottles (not for screw tops) Will NOT FIT 48mm. The chrome water stand is great for indoor and outdoor events such as parties, picnics, camping, home or office use. Water bottle stand is 18" with bottle on.